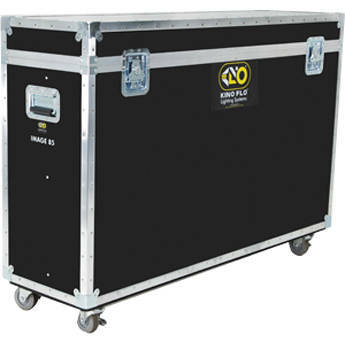 The Kino Flo 80 Ship Case is used to hold one Image 80 fixture and cable. It is reinforced plywood with a vinyl covering, metal hasps, and has reinforced corners. Box Dimensions (LxWxH) 59.5 x 37.0 x 11.0"